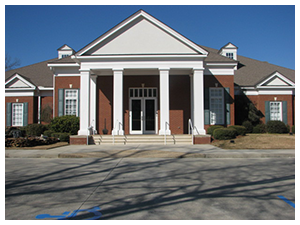 Rainey Family Funeral Services, Inc., formerly Dekle Funeral Home, was founded in 1889 by the late George L. Dekle and R.L. Dekle. J.D. Rainey, Sr. and T.L. Croft assumed ownership in 1953. In 1964, J.D. Rainey, Jr. joined the funeral home. In 1966, J.D. Rainey, Sr. acquired sole ownership of the business. In 1992, he semi-retired and passed ownership along to his son, J.D. Rainey, Jr. In 2000, Wesley Rainey joined the company making him the third-generation funeral director in the family. At present, J.D. Rainey, Jr., President, Wesley Rainey, Vice President, Arthur Posey and Anthony Blanchard are full-time licensed funeral directors and embalmers. J.D. Rainey, Sr., at he death in 2006, was the oldest licensed funeral director in the state of Georgia. We are proud to be family-owned and operated for over 100 years and will continue to serve our community with dignity and respect.